It is spring again. Outside, the first flower buds open and there is already a colourful floral splendour everywhere. We have the crocuses, who happily stretch out their yellows and violets, snowdrops that shine in white splendour, and even a few violets can be seen. 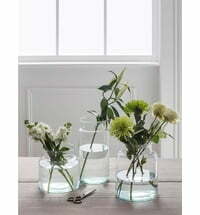 Now it's time to add some colourful flower accents to our own home to set the perfect mood with your own style. Of course, a floral arrangement is not complete without the right vase. 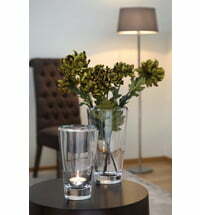 Only with the right vase do flowers really make a difference. These are available in countless variations, timeless colours and exciting shapes. Unfortunately, this is rarely taken into account, whereby even the most beautiful flowers don't stand out as best they could. Flowers shine with their unique flair only with a matching vase. Some flowers should be visible from flower and leaf right down to the stem, as is the case for tulips, daffodils or hyacinths, vases made of transparent glass are perfect for this, perhaps with an elegant metal edging. Of course, the vase itself should be a unique eye-catcher. A vase of lacquered glass in appealing colours and a beautiful pattern will easily catch your eye. Then a few beautiful flowers and everything is complete. Other highlights are vases, which are themselves composed of several vases . Here you can let off steam creatively and match each opening with a different flower. This quickly creates a creative, unique mix. The imagination knows no bounds: with small vase openings, you can add violets, in the larger tulips or daffodils will suit. For more earthy tones you can work well with planters. Simply place the flower, roots/bulb and pot in a trendy planter. There are many different materials to choose from. The selection is very broad: from glass to porcelain and metal to enamel. You can then put the whole thing in the limelight by placing it on a beautiful decorative pillar, for example. Some planters are by themselves already true works of art, which would actually need no more flowers. And if you have flowers, you know where to brighten them. Additional tip: If you want the radiant colours of your beautiful flowers to really stand out, you can deliberately use coloured counterparts in the living room. Whether it is a pillow, a blanket or similar, it does not matter. It is important that the colour is correct.